Viñales Valley is an official national park and by far the most visited location in Pinar del Río offering an outstanding karst landscape in which farmers still use traditional methods of agriculture and tobacco farming. 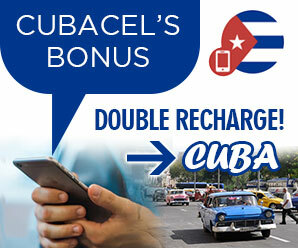 The Viñales region also maintains a rich vernacular tradition in its architecture, art crafts and Cuban country music. The numerous caves, one of which is called the Cueva del Indio ir Indian Cave are scattered on the slopes of the hills that envelope the Viñales Valley. The fertile soil and favorable climate are ideal for the ongoing rearing of livestock and the cultivation of fodder and food crops. The valley is surrounded by mountains containing ammonite fossils. The entire plain is devoted to long-established agriculture. Recent experiments by Habanos S.A, Cuba’s primary cigar producer, have revealed that mechanical methods reduce the quality of tobacco, and this is why old methods, such as animal traction, are still being used. Due to the emergence and extensive expansion of tobacco cultivation, the village of Viñales was founded in 1875, along the road leading from Pinar del Rio, the capital of the province, to Puerto Esperanza which is also the main outlet to the sea and close to Cayo Levisa. The Western Railroad, of which only a few remnants are surviving, was built in 1882. 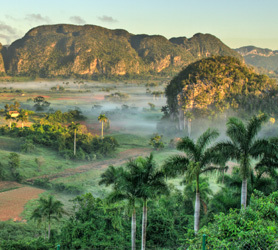 Viñales Valley was the scene of several military conflicts during the War of Independence and also during the Cuban Revolution. Today, the valley is devoted to agriculture; its population of some 8,000 people is engaged mainly in growing tobacco, a crop which gives the best yields for the type of soil and humid climate found in the microclimate of the Valley.